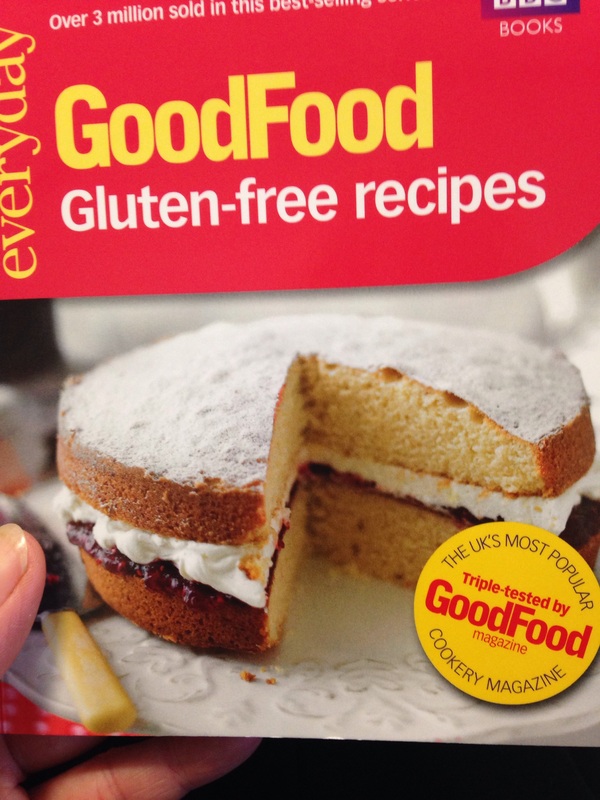 I have mentioned previously that I bought two nice looking little gluten free cookery books last week. 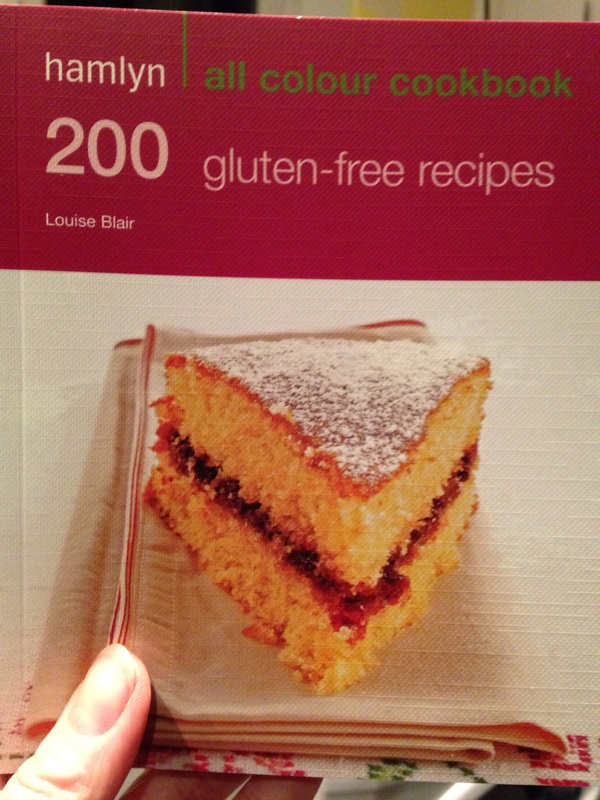 One is Hamlyn 200 Gluten Free Recipes by Louise Blair and the other is BBC Good Food Everyday Gluten free Recipes. They both look really promising and seem to use ingredients that are easy to buy in the local supermarket. 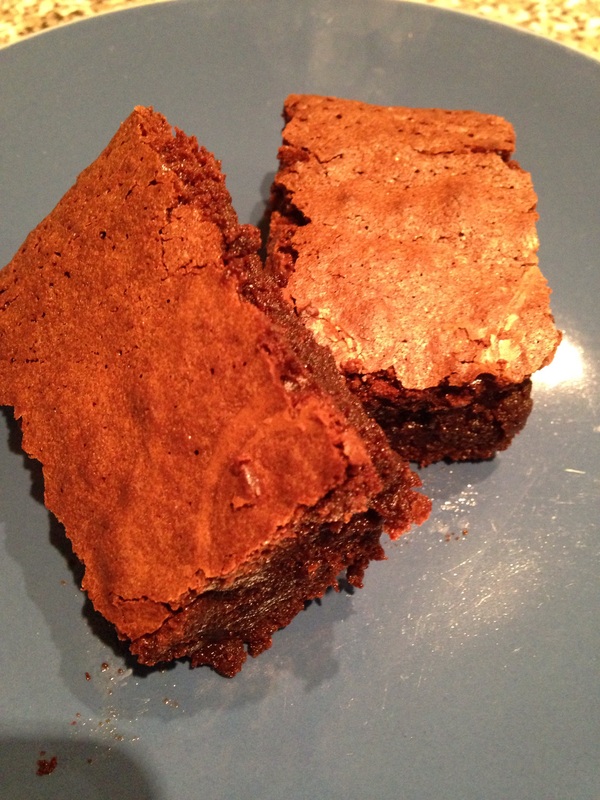 recipe and I thought I would start with some gluten free chocolate and raspberry brownies from the BBC book. Fresh raspberries aren’t easy to come by this time of year so I decided to stick with just chocolate. My local Co-op only had milk chocolate so that is what I used. They were delicious! They weren’t cheap to make, however, so I will save this recipe for treats. Here is the original version. Next time I will be more prepared and use Aldi’s cheap dark chocolate – today I used Cadbury’s! Heat oven to 180C or gas mark 4. Grease and line a 20x30cm baking tin. Gently melt the chocolate, butter and sugar in a saucepan, stirring well. Remove from heat and whisk in the eggs one at a time. Move to a mixing bowl and sieve in the flour and cocoa powder. Whisk together, then stir in half the raspberries. Pour the mixture into the tin and scatter over the remaining raspberries. Bake for 30-35 minutes until set but nice and squidgy. Cool and then cut into squares. I have put half in the freezer as they are best eaten within three days. We had them still warm with a cup of tea but they would be fab as a posh pudding with a big dollop of cream. I want to try some corn and cheese muffins next which are made with polenta and look scrumptious! Well, don’t those look just yummy?